Motilal Oswal trade, like any other web-trading application, is an online trading solution provided by Motilal Oswal, a full-service stockbroker. However, this application comes with a variety of features and has something to offer to all kinds of traders and investors. We will be looking at all such features and understand whether this is a suitable application for you or not. Motilal Oswal, a full-service stockbroker based out of Mumbai, provides an array of trading platforms across Mobile, Web, Smart-Watch, Desktop devices. 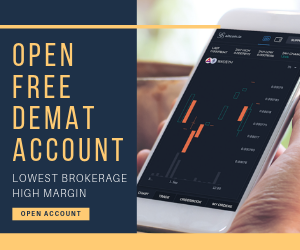 Thus, clients of this full-service stockbroker don’t need to worry much in terms of the variety of trading applications they will have at their disposal. At the same time, when we talk about the quality of these trading applications, it is certainly better than average overall. Here we are going to talk about Motilal Oswal Trade, the web-based browser trading application that requires no downloads or installs. You can use pretty much any prominent browser including Internet Explorer, Mozilla, Safari or Google Chrome – there will not be any nuisance in your trading experience. We also need to understand one thing here. What are the general expectations of a trader while using a browser-based trading application? Considering these aspects, let’s dig a bit deeper and talk about the different features offered by Motilal Oswal Trade. When you log in to the application for the first time, you will be displayed the dashboard where basic widgets such as market news, current snapshot of the indices, market gainers, your portfolio and more. Furthermore, you can personalize the dashboard with the kind of widgets you would like to keep. You can place the orders from the ‘Invest Now’ menu item by entering values such as Buy/Sell, Exchange (NSE, BSE etc), Product (Intraday trading, Delivery trading, ValuePlus), Name of the Scrip, Quantity, Order Type (Limit Order, Market Order, Stop-loss), Price etc. Post entering, the details, you can click on the Buy or Sell button depending on your trade type. If you want to have a quick look at the market overview, you can do and check out the current market momentum across indices and segments, be it Equity, Derivatives, Commodities or Currency by clicking ‘Markets‘ and then followed by the sub-menu item ‘Overview‘. The feature allows you to change the index as well. Not only the graphs, you can also view the performance of different indices, market sectors, Top Gainers, Top Loses for the day – all of that in a tabular format which is much easier to understand as compared to these data points written in a textual format. Not only Equity or other trading products, but you can also invest in Mutual Funds as well directly from this Motilal Oswal Trade application. You are required to select the specific fund house you look to invest in along with type of Mutual fund (Equity, Debt, ELSS, Liquid), mode of transaction (SIP, Fresh buy etc), Mutual Fund Scheme. After entering these values, just click on invest and corresponding mutual funds will be purchased in lieu of the trading account capital in your account. Within the Mutual Funds section, you can analyze some of the researched blocked such as ‘Funds with Largest Corpus’, ‘Top NAV Monthly Gainers’, ‘Funds with Lowest Expense Ratio’ and so on. Once you click on any of these blocks, you will be shown a list of mutual fund houses or AMC along with the specific details of the fund. This helps in your figuring out which particular Mutual fund is optimal for your investment. Similar to what is done above for Mutual Funds, Motilal Oswal Trade provides you research blocks for Equity segment as well. There are research blocks such as ‘Year’s Top Performers’, ‘Top Revenue Companies’, ‘Fastest Growing Companies’ etc. By clicking on these blocks, you will be provided with a list of companies pertaining to the block information along with information such as Market Cap, the Percentage change in the stock value, Net Profit and so on. With this information in place, it saves a lot of time that gets wasted in figuring out the specific stocks that you would want to monitor based on your investment preferences. As far as the mainstream features are concerned, you can use multiple watchlists to monitor specific scrips of your choice. Each watchlist allows you to add up to 50 scrips that can be monitored at any given point in time. The watchlist comes with default colour coding of the stock momentum that gives you a quick idea on the market movement. You can customize the chart frequency with a range of 1 min, 5 min, 15 min and 30 min variations. This is helpful for you if you want to perform a detailed technical analysis for intraday trading. thorough technical analysis. These charts can be customized and personalized in terms of look and feel, time range, chart type, display type and more. In order to understand the market depth, which basically sets you up to place an order for that scrip, you can click on ‘Eye’ icon. 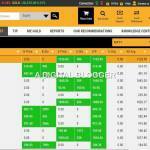 With this, you will be shown any current market orders you can take up if the price and quantity suit you. There are different types of order books under the Report section that give a complete 360-degree idea on your net position, your current trades, the margin you have availed and so on. 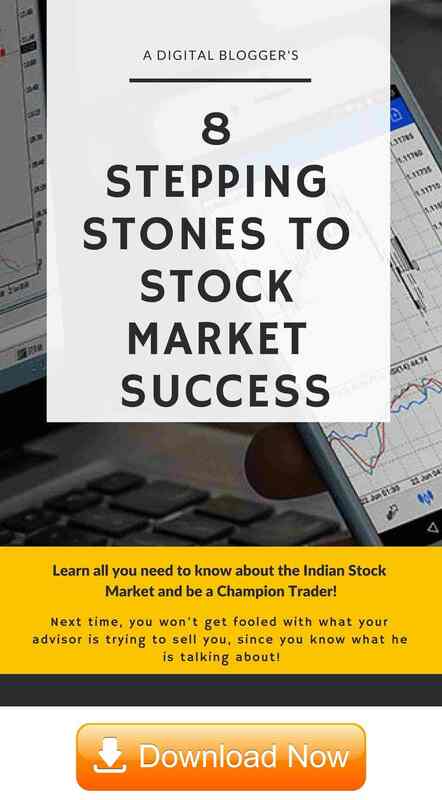 Since Motilal Oswal is a full-service stockbroker, you will be provided regular tips, research reports, recommendations and analysis at both technical and fundamental levels. These recommendations will be displayed to you in the ‘Our Recommendations’ section along with details such as current market price, exit price, target price, stop-loss etc. As you can see, Motilal Oswal Trade is a pretty exhaustive application in terms of the number of features, some of which have been discussed above. What we have observed in the recent past is, that there was a time when stockbrokers had a high focus on their terminal softwares. However, with time, the focus has gradually shifted towards mobile trading applications and responsive web-based browser applications. Motilal Oswal seems to be following that particular trend. The application takes some time in loading, especially if you are navigating from one tab to another while performing a quick technical analysis. Motilal Oswal Trade is not responsive in nature making it suitable for only desktop, computer or laptop based trading. You cannot use your mobile phone for trading through this web application. The number of features is pretty exhaustive in nature. Light weight application, does not require any installs or downloads. The trading experience suits all kinds of traders be it beginners, intermediate level traders or stock market experts. You can trade and invest in multiple segments such as Equity, Commodity, Currency, Mutual Funds, IPOs and so on. 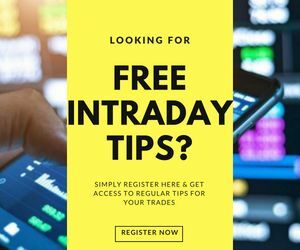 Free research is provided within the application that makes the trading process much easier and quicker, especially if you are someone who struggles to perform research on your own. The wide range of technical indicators and charting types gives you the flexibility to perform your technical analysis at length. Looking to Open your trading account and start investing in the stock market? Just enter Your details here to get a callback. This review is available in Hindi as well.